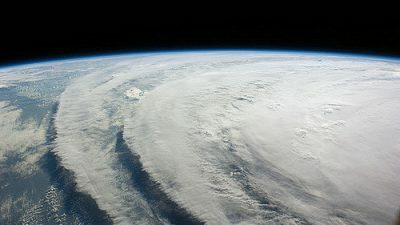 The battle against extreme energy is intensifying. Fracking firm Cuadrilla began construction of a super-sized hydraulic fracturing well pad at Little Plumpton, Lancashire in January. They have been been met by daily resistance from local protectors who know the water, land and air will be poisoned if they do not act. People fear their peaceful rural neighbourhood being turned into an industrialised gas field. Throughout this month, people from across the country are gathering on the Fylde, near Blackpool, to support these frontline communities, in the fight against fracking, as part of The Rolling Resistance. The opposition to fracking began with the formation of the group Ribble Estuary Against Fracking in 2011, initiating a six year struggle. In Summer 2014, a group of ‘anti-fracking Nanas’ and Reclaim the Power took the site and ran an action camp at Preston New Road. As the camp ended, Reclaim the Power pledged to return to help the community when the time came. Now, after years of community resistance and months of direct action, that time has come! Since January, resistance has been strengthened by ad-hoc lock-ons that have blockaded the gate, impeding the frackers’ progress significantly. Meanwhile across England, there have been pop-up protests against companies who supply Cuadrilla, notably AE Yates, who are building the site. Across two weeks in March and April, Reclaim the Power carried out a series of direct actions that further disrupted the supply chain: an aggregate supplier and a drill leasing company were blockaded, PR events were interrupted and bus stops were subvertised. These supply chain actions resulted in a number of clients terminating contracts with Cuadrilla. While Cuadrilla are the most immediate threat of commercial fracking, approval has also been given at Kirby Misperton, North Yorkshire and the looming fear of onshore oil drilling is fanning out across the Weald, threatening sites across Surrey and Sussex. Prospectors claim the geology is ‘naturally fractured’ and there are plans to acidise wells, to help dissolve limestone and ‘assist’ oil flows to the surface. Threatened sites include Horse Hill, Brockham, Leith Hill and Broadford Bridge. ‘The Castle’ camp at Leith Hill stood for almost 8 months. Some impressive underground tunnels were built, yet they were evicted after a tenacious 42-hour final stand. Further south, a new protector camp has sprung up at Broadford Bridge, to counter plans by another company, UKOG, to drill for oil. They inherited a licence to drill for gas at a deeper depth and activists are disgusted that drilling has proceeded without the correct planning permission. What happens in Lancashire will pave the way for the industry across the rest of the UK. By uniting across the country as part of the Rolling Resistance, activists will bring national focus to Lancashire and keep fracking at bay. The concept of the Rolling Resistance is modelled on a number of inspiring non-violent direct action campaigns: the ‘kayaktivist’ blockade of Franklin River Dam, Tasmania (1980s); the Bentley Blockade in New South Wales (2014) and Faslane 365 at the Trident nuclear base in Scotland (2016-17). The aim is to assemble a protection camp close or at the site and build a base for people to stay, get trained and take action. Affinity groups receive training in action logistics, legal observing and media skills. Those who take action are supported – there are many roles to play in this community of resistance. Whether you’re locked on, chopping veg or spreading the word, the resistance has something for everyone. All over the world, civil disobedience campaigns against the fossil fuel incumbency are being won by frontline communities. 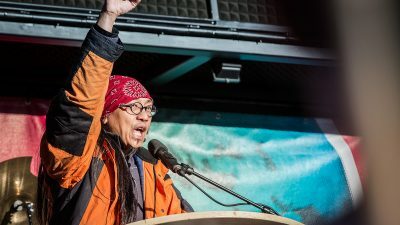 Indigenous people with strong connections to the land are leading the way. Building a diverse and inclusive, sustainable alliance of the many is challenging – diversity of tactics, organisation and support are key to sustaining an action and having numbers mobilise to the extraction site is often what finally wins it. 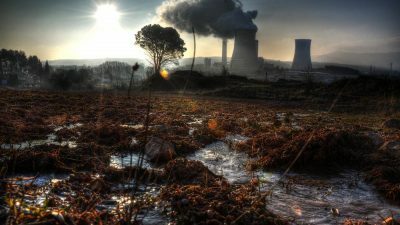 We can draw inspiration from the Bentley Blockade in Australia, where people of the Bundjalung Nation, farmers, activists, business people and voters of all colours came together in their thousands to defeat Metgasco, who were intending to turn the rural idyll of the Northern Rivers region into a gasfield. At Preston New Road, a workover rig is currently in place and the large drill is expected soon. 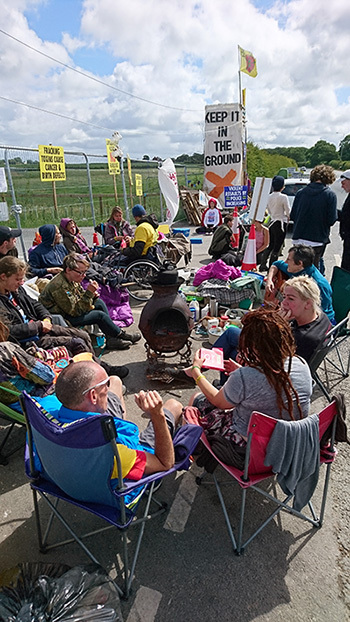 Activists now have a 24 hour presence at the gate; many have put their lives on hold to stop Cuadrilla, mindful that fracking at Little Plumpton is just the beginning. The intention is to drill many more wells, back to back, which would destroy communities and the farmland that sustains them. With legal appeals and judicial reviews almost exhausted, it is clear that more non-violent direct action is required stop fracking spreading across the Fylde. Come and join the rolling resistance – a Community Action Hub (PR4 3PE) was launched July 1. Each Friday in July, a themed, family-friendly mass rally will mobilise numbers to shut down the site and smaller affinity group actions will be rotated through rest of the week. There’ll also be workshops, training, entertainment and plenty of wonderful Lancashire hospitality.